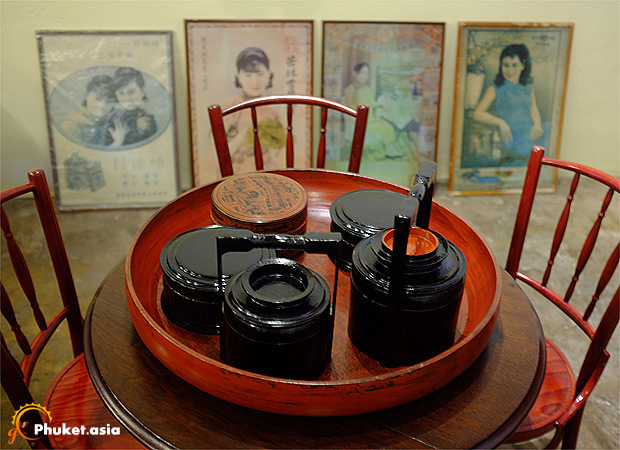 China Inn Cafe is at Thalang Road and is accessible through decorative-laden shop. 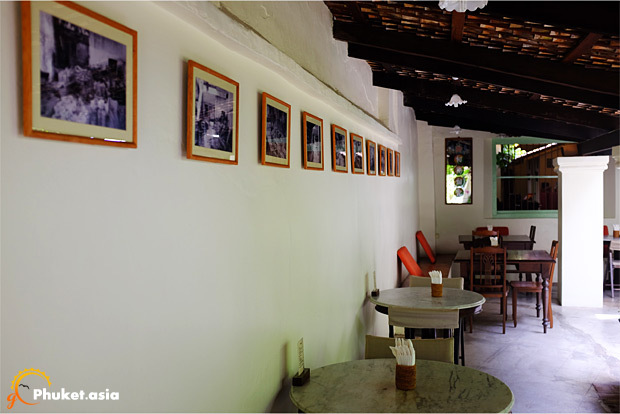 It is a backyard restaurant that exemplifies how unswerving vision, patience and dedication can transform a rundown old building. 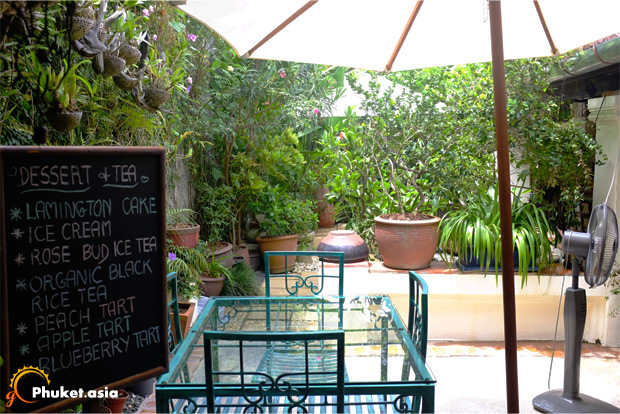 Situated at the heart of Old Phuket town, this cafe is overwhelmed with tradition and history. The restaurant typically closes at 7 p.m. but makes exception for pre-booking on Thursdays, Fridays and Saturdays during specific business seasons. The exterior of China Inn is rustic and bears witness to the remarkable restoration work. 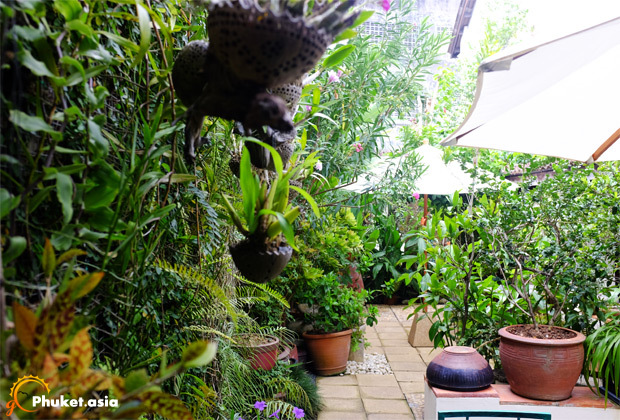 Its Feng-Shui based backyard has tall plants that create the feeling of closeness to natural environment while being in the restaurant. 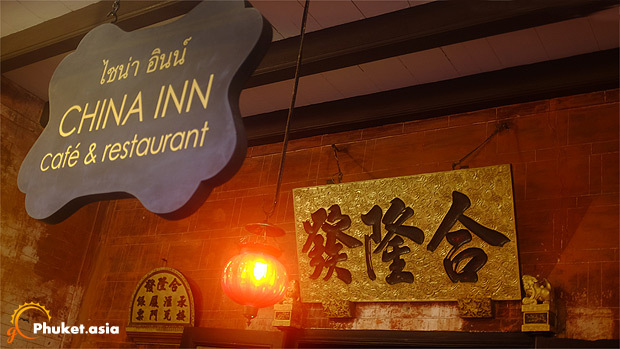 The interior of China Inn is characterised by Sino-Thai style of decoration that commemorates the restoration of the place. Classic memorabilia can be found smartly placed throughout the interior. The stone-tiled floor further adds to the classic feeling. 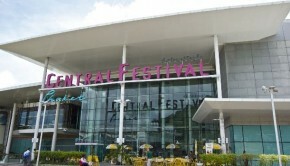 The restaurant has dining arrangement in the courtyard. 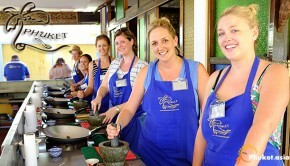 In fact, it is the main feature of the restaurant and provides the homely environment and atmosphere for guests. Both 2-chair style and long mess-table style seating arrangement is available. Nothing beats a cool young coconut when drink in a hot sunny day. 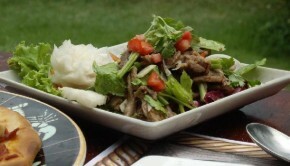 This moz avocado salad doesn’t just have a nice presentation, the ingredients are fresh and organic too. Don't subscribe All Replies to my comments Notify me of followup comments via e-mail. You can also <a href='http://www.gophuket.asia/comment-subscriptions?srp=1480&srk=460b2a19ca338a9cc1a84e57d7205774&sra=s'>subscribe</a> without commenting.